So about a 17 million GP mismatch for us on the TW that opened offense today. 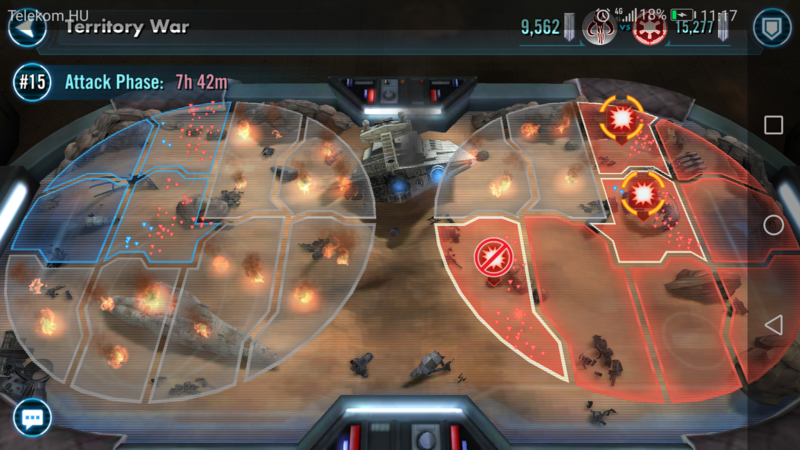 We had 50/50 participation and 24 defensive slots per territory, so max 47/50 on their side. Seems like matchmaking places too much emphasis on participation? It's very frustrating trying to play in this game mode when we're this overmatched. 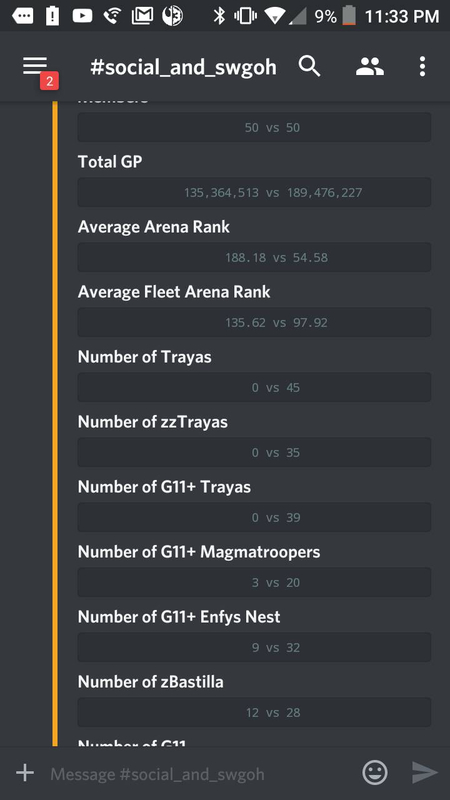 I agree with earlier statements about improved transparency in the matchmaking process so we can more easily know the difference between a somewhat difficult TW matchup and an issue worth reporting. 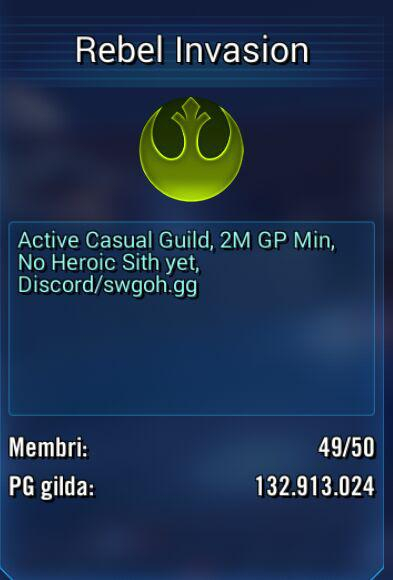 # of opposing guild members who joined: 36. My bad, it took them 4 hours with their 30 million extra gp. 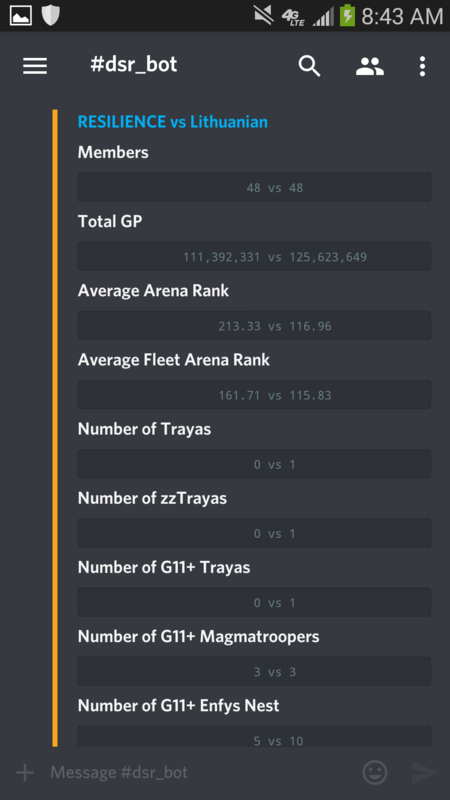 Every 1 million gp = 10 fully developed teams. In this case they had 300 more fully developed teams then us. We only won 1 TW in 4 months. We have 124 mill. gp. 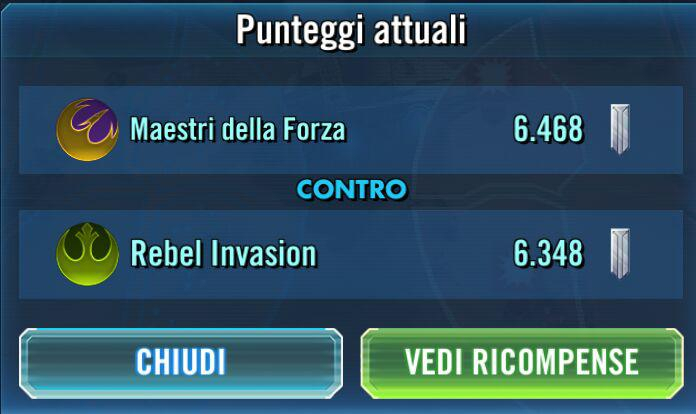 In the 4 months we never got a weaker opponent, nowdays we face full traya walls. 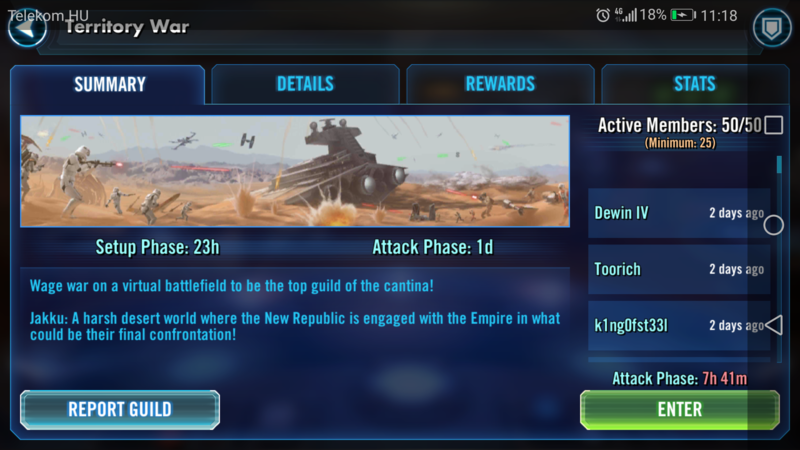 We cant even do heroic sith, we need the JTR event to do it. After next JTR we will have 42 JTR teams. No we have only 25. We had to set 21 teams per territory. They beat us 10-0 in about 5 hours. 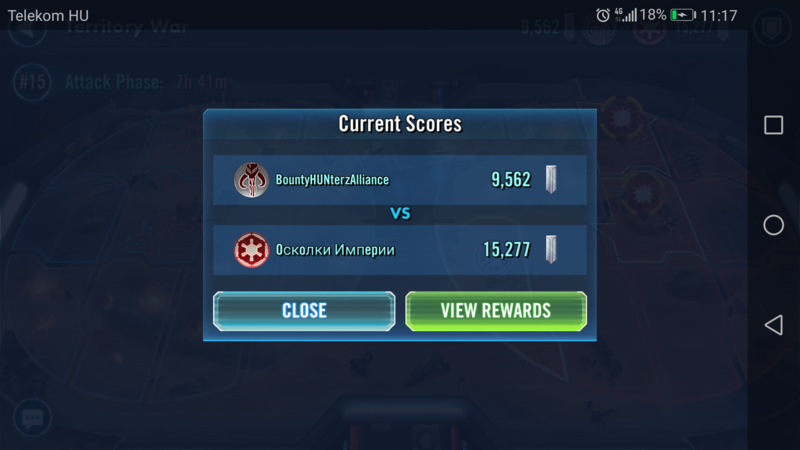 We joined with 48 people and now facing a gp even matched guild, but they have less everything. So they lose. As I posted many time fixes, I try again. You guys at CG could implement an Prestige system. 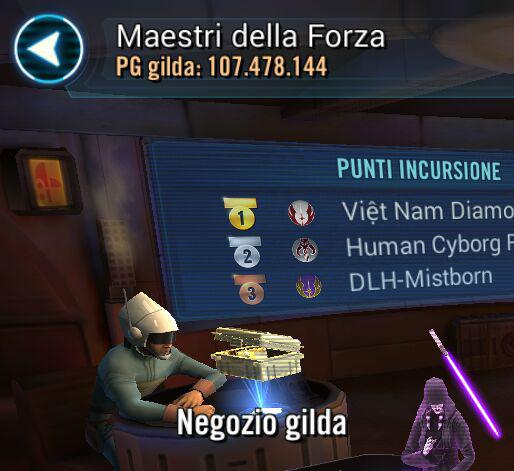 They start in their GP bracket and get Prestige points: 120mio - 100 Prestige, 150 Mio - 200 Prestige and so on. Winning gives an amount of Prestige, losing takes some away. The amount is scaled by GP. This prevents guild from letting out people and prevents miss matches, because of Prestige matching and GP Prestige gain. Now just reminding for "SEASONAL REWARDS". Win/lose can give the same rewards as it is, but seasonal should give awesomene rewards. Leaderboard is taking the total Prestige at the end and the biggest whale guild can claim rewards for first. This also prevents guild hopping for more rewards, because you have to be in your guilds, for let's say 65% of the time. 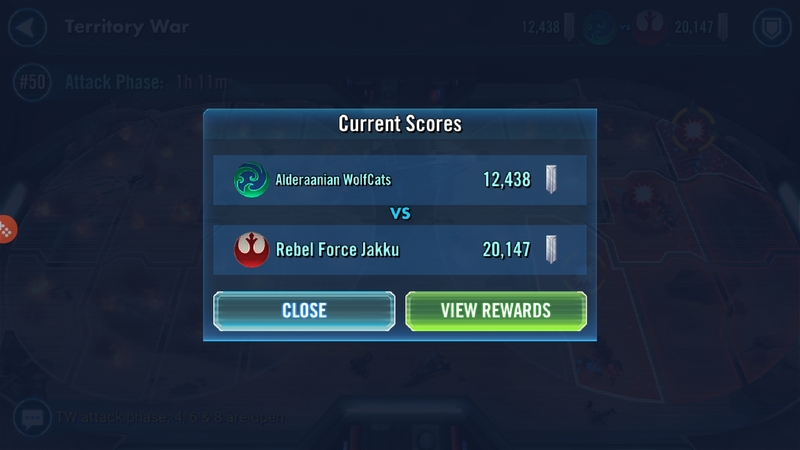 Thank me later CG guy who is in charge of TW. 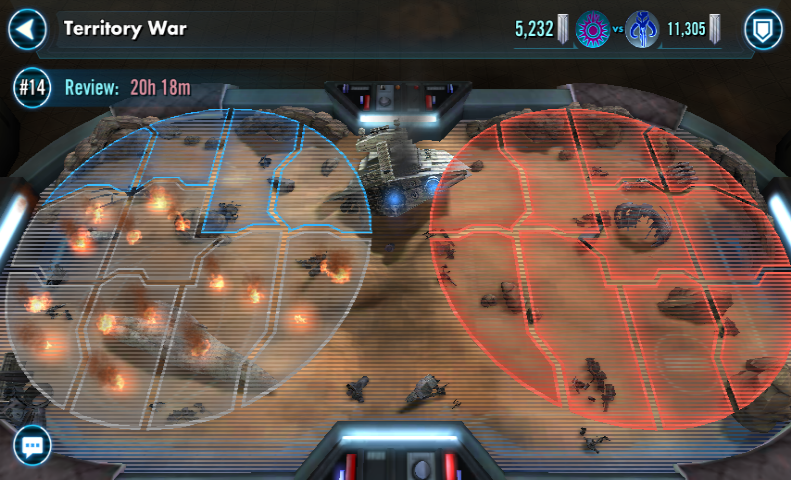 I think whoever is in charge of territory war matchmaking should be fired and not be eligible for unemployment, food stamps, and happiness. 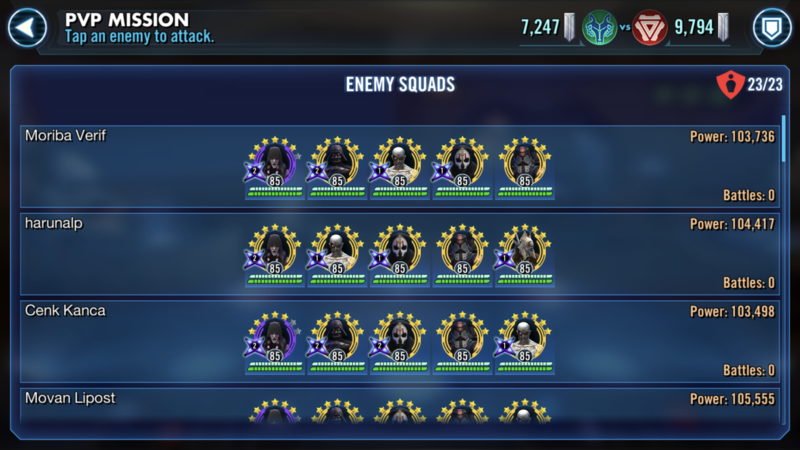 They had 36 Traya in defence including 5x G12, we had NONE at all, not to mention the strength of the squads needed to get so many Traya characters. There are lots of people saying it’s “unknowable” how many of the opposing guild signed up for TW. It is (almost) knowable every time. 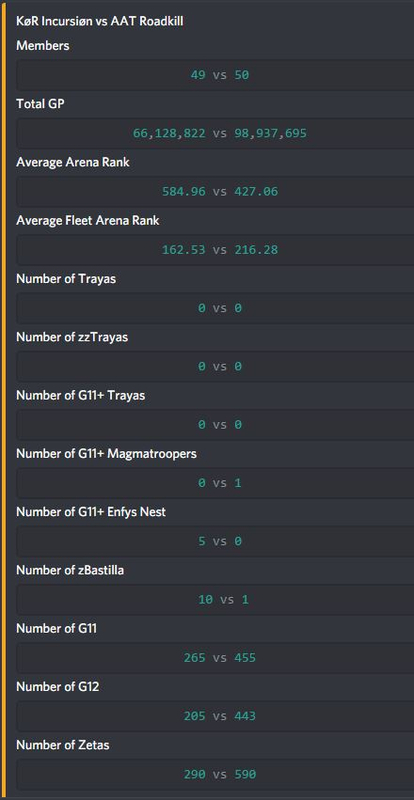 Whichever guild has fewest members, the TW rules divide that number by 2 (or add 1 then divide 2, if it was an odd number that signed up) to give the number of squads per zone. So @GreatObisRaven you had 35 sign up. That would mean 18 squads per zone. If it was LESS than that, you can work out how many of them signed up. If it was 18, you know at least 35 of them signed up. @Rag_Scrag 23 squads means they had either 45 or 46 sign up. 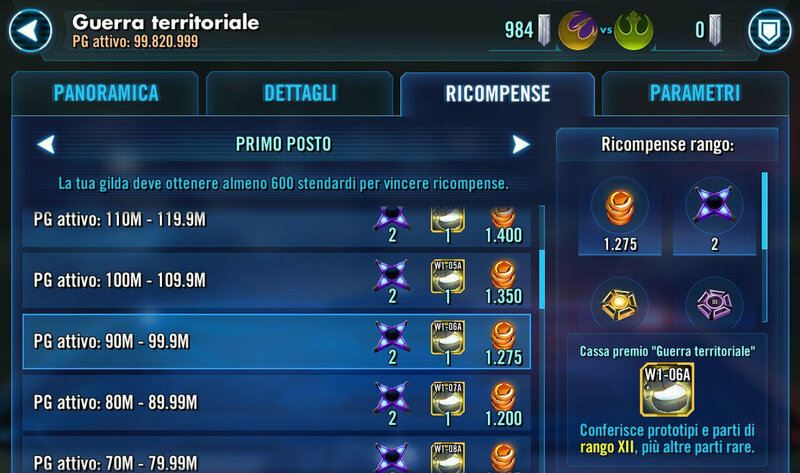 Mind you, the traya imbalance is critical in TW, that’s for sure. @Sarith2017 for 21 squads they only had 41 or 42 sign up. 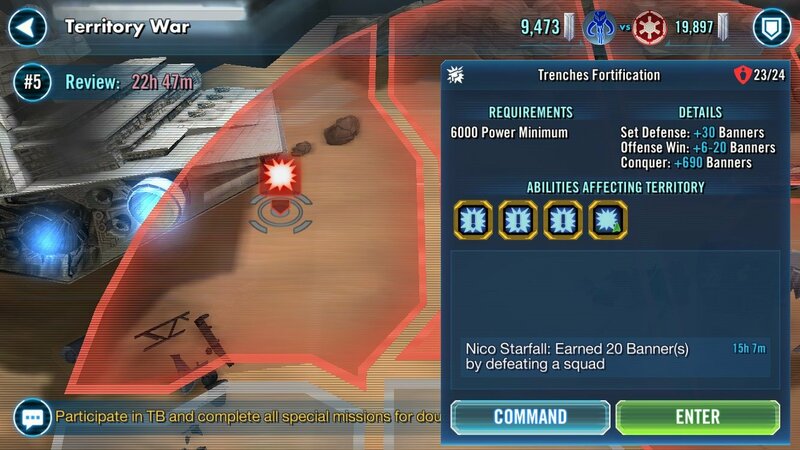 But again, the traya imbalance makes it an impossible mission. 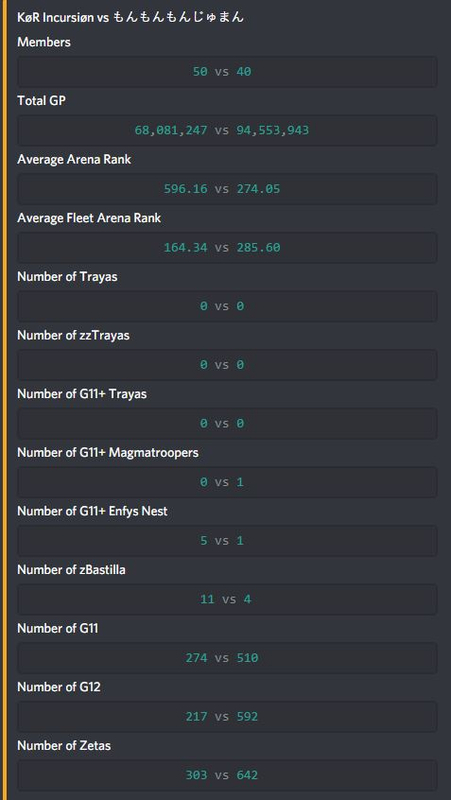 Our guild has just fought a TW with 46 signing up, all with Traya. 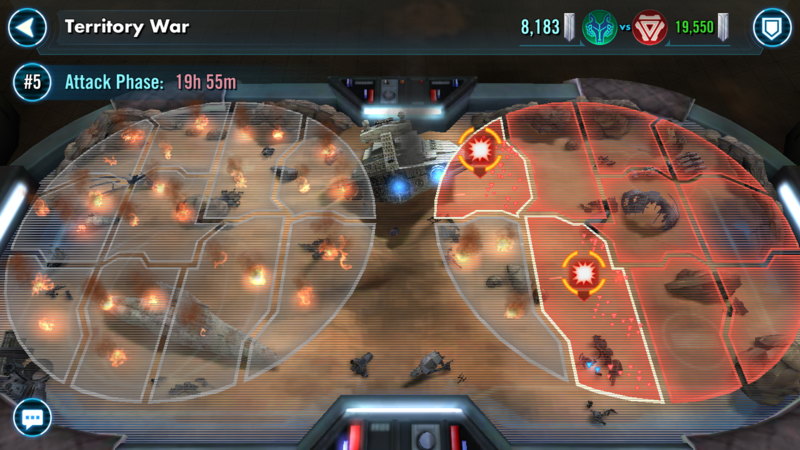 Enemy had 20 Traya. We’ve cleared entire top of the map and have 4 teams left to clear in 2b. 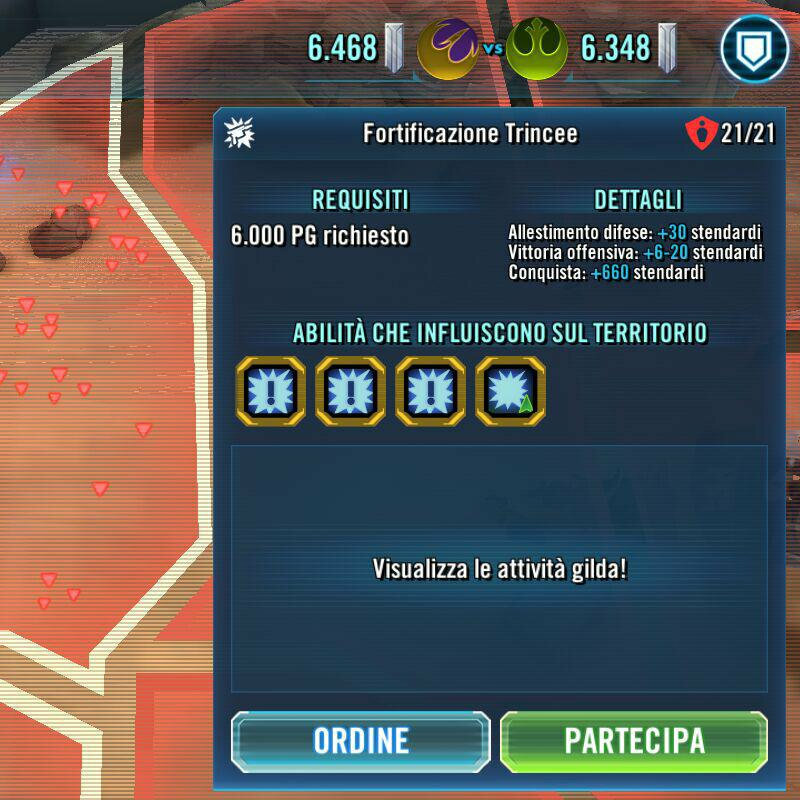 They have not been able to clear either of our traya zones in 2a, 2b. 39 or 40 signed up. We had 46 members join for this TW. Most of our recent matchups have been fair. This one wasn't even close, and wasn't fun at all. Edit - Sorry for the formatting. It looks good in the "composition", but apparently spaces and double spaces all go out the window when it posts. 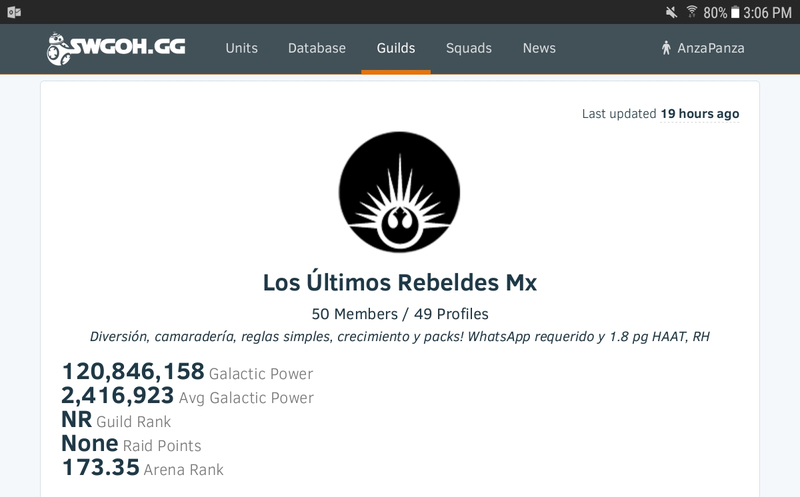 In September we have been matched with Guilds about 20-30M higher than us every TW. It's absolutely frustrating and definitely no fun anymore. I guess this anecdote discounts the possibility that the matchmaker takes win-loss record into account. It's a sad state of affairs. I sympathize with the devs, though. Guild pairing is a complex, N-dimensional problem. It requires a sophisticated solver to produce matchups that seem "fair." This should have been in development since before beta testing was completed. The problem just gets harder to solve when new meta-defining characters are introduced, unless you have a very smart, easily adjusted, adaptive algorithm. Even then, tuning the system would be a daunting task, and keeping it tuned for all the marquees would feel almost futile. 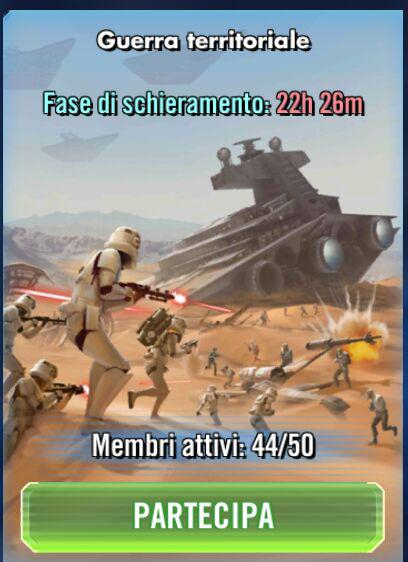 At that time, our active gp was around 89mil and 48 joined. 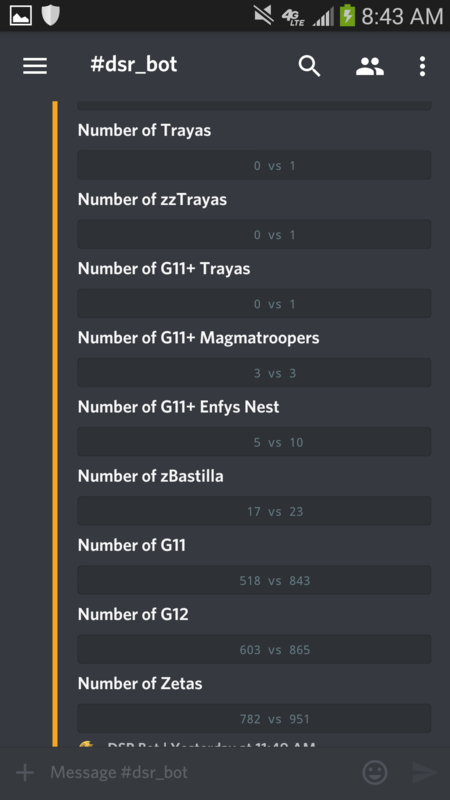 Have no idea how many joined from the opposing guild. Our active gp was around 90mil and 48 joined. 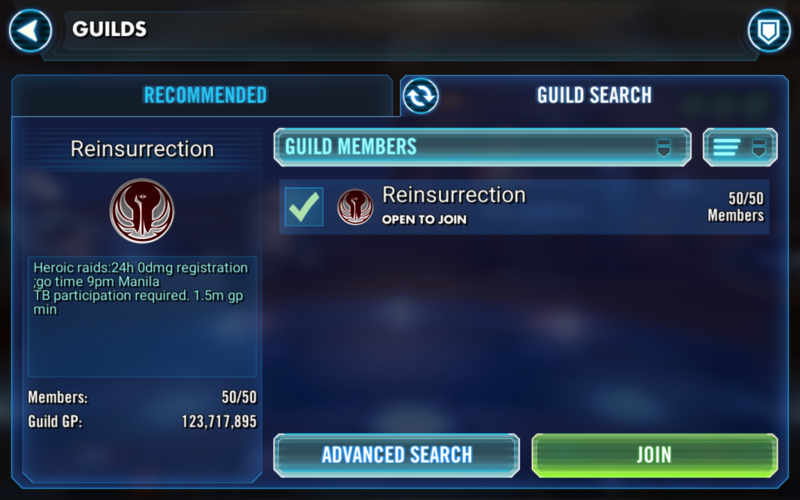 Again, have no idea how many from the opposing guild joined. 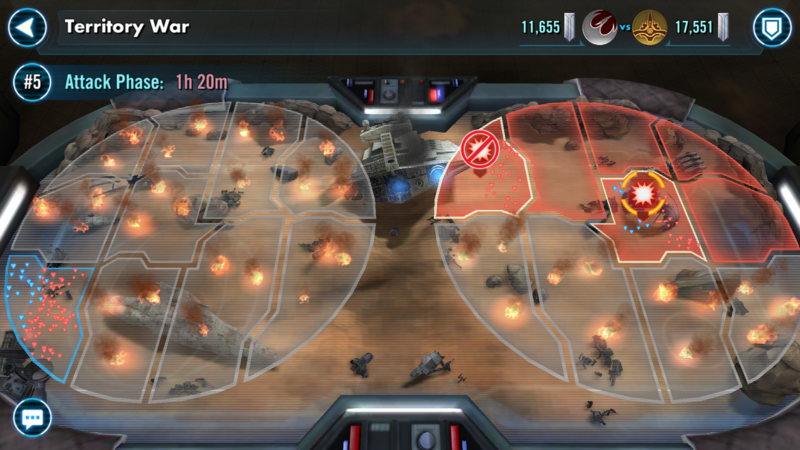 This last TW, we were evenly matched for a change. I make character kits! Ask me and I will try my best to make one for fun. To me, a reasonable fix would be: Matchmaking is based only off of total guild GP NOT active gp. The swing should not be more than 5-10 million. 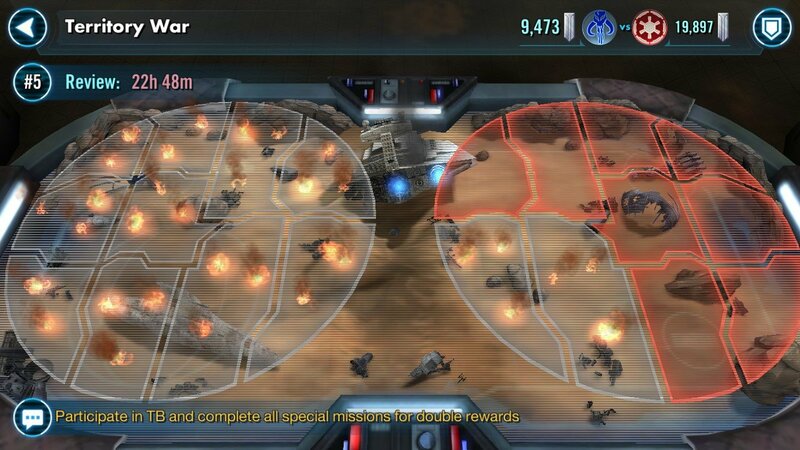 If members fail to register for the war, they will just have to make do and could fall short.